The 2013 Honda Civic sedan is significantly refreshed with styling updates, improved materials and a longer list of standard equipment. 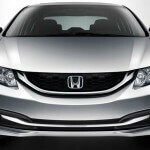 The five-seat 2013 Honda Civic sedan is a compact car that competes with Mazda3, Ford Focus and Hyundai Elantra. 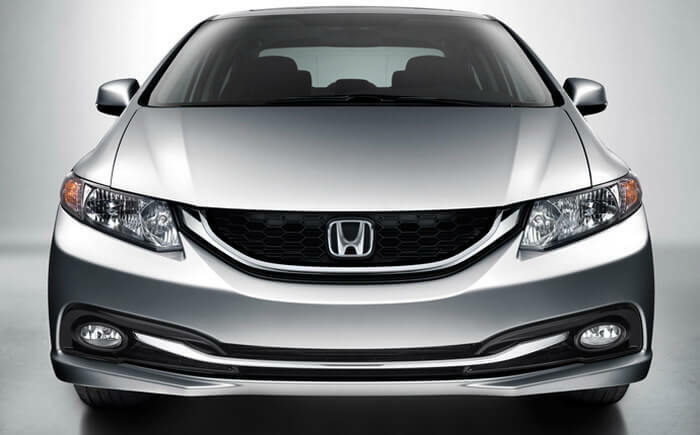 The 2013 Honda Civic sedan is offered in LX, EX and EX-L trim levels. The Honda Civic coupe, Si and Hybrid are considered distinctive models. The entry-level 2013 Civic sedan LX model comes with 15-inch steel wheels, air-conditioning, full power accesories, automatic headlights, tilt-and-telescoping steering wheel, cruize control, a rearview camera, a 5-inch central display screen, Bluetooth connectivity and a 4-speaker sound system with a CD-player and an iPod/USB interface. The EX model adds 16-inch alloy wheels, a sunroof, rear disc brakes, a 60/40 split-folding rear seats and a six-speaker sound system. The EX-L model adds heated mirrors, foglights, heated front seats and leather upholstery. A navigation system with voice controls and real-time traffic updates is optional on EX and EX-L models. 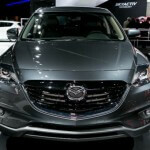 The 2013 Mazda CX-9 is a large-size seven-passenger crossover SUV that has an attractive design, a higher equipment level and good off-road capabilities. The 2013 CX-9 is Mazda’s largest car in the U.S. and competes with Honda Pilot, Chevrolet Traverse, Nissan Pathfinder, Ford Explorer and Toyota Highlander. The 2013 Mazda CX-9 is offered in Sport, Touring and Grand Touring trims. The Sport model comes standard with 18-inch alloy wheels, cruise control, a roof spoiler, a trip computer, full power accesories, three-zone automatic climate control, cloth upholstery, a tilt-and-telescoping leather-wrapped steering wheel, a 5.8-inch touchscreen display, Bluetooth connectivity and a six-speaker sound system with a CD player and USB interface. The heated mirrors, heated front seats and an eight-way power-adjustable driver seat are available as options. The 2013 Mazda CX-9 Touring adds leather upholstery, automatic headlights, a blind-spot monitoring system, a four-way adjustable front passenger seat, rear parking sensors and a rearview camera. The Grand Touring model adds 20-inch wheels, LED running lights, bi-xenon headlights, foglights, a power liftgate, automatic wipers, keyless ignition, keyless entry, driver-seat memory functions, an auto-dimming rearview mirror and upgraded interior trim. Exclusive to the Grand Touring is an optional rear-seat DVD entertainment system. 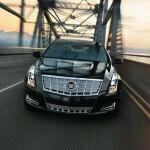 The 2013 Cadillac XTS is an all-new full-size luxury sedan than replaces the 2011 Cadillac DTS and STS models. The all-new 2013 Cadillac XTS is the newest addition to the Cadillac lineup and it is the most spacious sedan of Cadillac. The 2013 XTS offers a high level of quality, luxury interior, a lot of advanced features, a powerful engine and a refined exterior design. The all-new 2013 XTS competes with Audi A8, Chrysler 300c, Lincoln MKS and Mercedes-Benz E-Class. The 2013 Cadillac XTS is offered in base, Luxury, Premium and Platinum trim levels. The 2013 XTS base comes standard with 19-inch wheels, heated mirrors, xenon headlamps, adaptive suspension dampers, keyless ignition, keyless entry, rear parking sensors, dual-zone automatic climate control, a power tilt-and-telescoping steering wheel, 10-way power front seats, leather upholstery, Bluetooth connectivity, an 8-inch touchscreen and an eight-speaker Bose audio system with CD-player and iPod/USB connectivity. The XTS Luxury adds driver memory functions, heated and ventilated front seats, heated steering wheel, a rearview camera, front and rear parking sensors and rain-sensing wipers. The 2013 Cadillac XTS Premium adds to the Luxury a head-up display, adaptive headlamps, a 110-volt power outlet, tri-zone automatic climate control, a navigation system, voice controls, lane departure warning system, blind spot detection and a 14-speaker Bose surround-sound audio system. The Platinum comes in addition with 20-inch wheels, a sunroof and unique exterior styling. 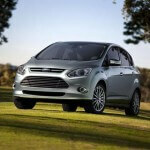 The all-new 2013 Ford C-Max is a five-passenger MAV (multi-activity vehicle). Available in Europe since 2003, the C-Max is a newcomer for the U.S. market. In Europe C-Max is offered with a choice of two diesels and two gasoline engines, but in the US, the all-new C-Max is offered exclusively with hybrid technology. The all-new 2013 Ford C-Max is a real and powerful competitor for the legendary Toyota Prius, also competing with Honda Insight and Nissan Leaf. The all-new 2013 Ford C-Max is available in three front-wheel drive trim levels: SE Hybrid, SEL Hybrid and Energi. The 2013 C-Max Hybrid SE comes standard with 17-inch alloy wheels, dual-zone automatic climate control, full power accesories, 4-way manual seats, power mirrors with integrated signal lights, a leather-wrapped tilt-and-telescoping steering wheel and a six-speaker sound system with a CD-player and an iPod/USB interface. The Power Liftgate and Rear Park Aid package adds ambient lighting, a power liftgate and rear parking sensors. The Winter package includes heated mirrors and heated seats. The MyFord Touch interface and a navigation system can be added as options. The C-Max SEL Hybrid and Energi add heated front seats, 10-way power driver seat, keyless ignition, keyless entry, leather upholstery, foglamps, heated mirrors and an auto-dimming rear mirror. The main difference between the C-Max SEL Hybrid and the C-Max Energi is the plug-in capability (the C-Max Energi has an external charge port and a larger lithium-ion battery than C-Max Hybrid). The Premium Audio and Navigation package adds a nine-speaker Sony sound system and a navigation system. The 2013 Acura RDX is the second generation of Acura’s small luxury crossover SUV and it has now more power, a better fuel economy, a fresh look and a roomier interior. The all-new 2013 Acura RDX is a premium 5-passenger compact SUV that has good handling characteristics and the versatility of a veritable sport utility vehicle. 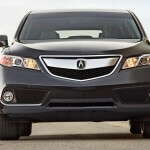 The 2013 Acura RDX competes with Volvo XC60, Audi Q5 and BMW X3. The 2013 Acura RDX is available in base and base with Technolgy package trim levels. All models are available with front- or all-wheel drive. Standard features of 2013 Acura RDX include 18-inch wheels, keyless ignition, keyless entry, automatic headlights, heated mirrors, rear privacy glass, a sunroof, dual-zone automatic climate control, power front seats, heated front seats, a rearview camera, a tilt-and-telescoping steering wheel, leather upholstery, Bluetooth and 7-speaker sound system with a CD player and an iPod/USB interface. The Technology package adds a navigation system, solar-sensing automatic climate control, a power liftgate, foglights, xenon headlights and a 10-speaker surround audio system with 15 GB of music storage. The 2013 Acura RDX is powered by a 3.5-liter V6 SOHC i-VTEC engine that produces 273 hp and 251 lb-ft of torque. Front-wheel drive is standard as well as a 6-speed automatic transmission with sequential SportShift paddle shifters, Grade Logic and Shift Hold Control. The all-wheel drive is optional. The 2013 Acura RDX has an EPA estimated fuel economy of 20 mpg city/ 28 mpg highway for front-wheel drive model and 19 mpg city/ 27 mpg highway for all-wheel-drive model.